The excellent engineering properties of PETP (Polyethylene terephthalate) makes it the ideal plastic material for precision mechanical components that are subjected to high force loads. PETP exhibits high mechanical strength and toughness and can be used at temperatures ranging from -20 °C to approximately +115 °C. The stain resisting properties, coupled with food safety approval, makes PETP ideal for food processing and manufacturing equipment. Low moisture absorption of PETP enables it to be virtually unaffected by moisture. 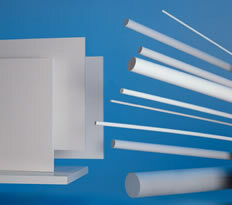 Macplas LTD is able to supply a range of PETP solutions in sheet, rod and tube form.